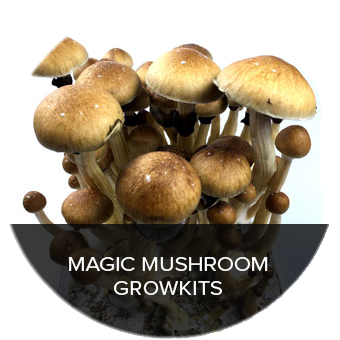 A trip on magic truffles or magic mushrooms is a very individual experience. 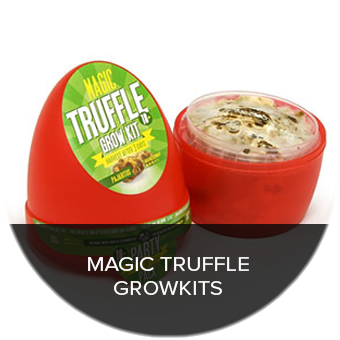 The effect of the Magic Truffles starts about 20 to 60 minutes after ingestion, though sometimes the first effects are already noticeable after 10 minutes. The psychedelic journey will last between three and six hours after which it gradually fades. The first three to four hours are the most intense ones. Psilocybin and psilocin-experiences are usually colourful and full of visions. You can discover a number of colourful closed-eyed-visuals, such as mandala-shaped figures and worlds, or images of gods and elves. The world is much more vivid than it already is. The walls may start to undulate and breathe. Plants start talking and the limits of the outside world, the macro cosmos, will fade to those of the inner micro cosmos. Tripping on magic truffles or magic mushrooms is a marvellous experience. The effects can be heavy, so you’d better be well prepared. In order to ensure that you can optimally enjoy your magic truffles, in this article we will tell about all the things you need to bear in mind while tripping, so you can get the best out of your trip! Everybody usually considers his or her first trip an unforgettable experience. Negative experiences hardly occur. That is because most people prepare well before taking magic truffles or magic mushrooms. You must feel well if you are going to take magic truffles or magic mushrooms, because they function as a kind of mental magnifying glass. If you are depressed or anxious, these emotions will amplify and because of the hallucinatory effects of the truffles it may become an unpleasant experience. Another important aspect which influences the trip’s process aspect is the setting that you are in. This must be safe and familiar. I always recommend people to have their first few trips at home. Here you have control over the setting, access to food and drink and you can lay comfortably on the couch if you want to. It’s also important that you are not alone during your first trips and what I mean by that is that someone must be around who is sober. We call this person a ‘sitter’ and he or she ensures that everything goes well. Check the part Preparing a trip on magic truffles for more information. If you take magic truffles or magic mushrooms, you will start hallucinating. Hallucinating is a phenomenon that has captivated people for centuries. It is a strange sensation, during whic everything you see starts to change. Objects change their colours and forms. I suppose you can imagine that at one time mankind thought that hallucinations were messages from up above. Now we know much more about hallucinations and where they come from. A hallucination is a misperception of the human senses (smell, sight, feeling, etc.). You detect something that in fact isn’t there at all. Hallucinations can be stimulated by certain substances which your body reacts to. Psilocybin from magic truffles is a good example of this. Also during certain illnesses hallucinations may occur. The hallucinations that you experience due to magic truffles are relatively mild, however the Psilocybin Hollandia can realise a rather heavy trip experience. Possibly you will see patterns on the wall or on the ceiling, or fantastic colour changes. As long as you are in a familiar place, your hallucination is not likely to be scary. They are likely to fascinate you and leave an unforgettable beautiful impression! Tripping is not something to be taken lightly. Medium or high tripping doses can even be psychologically destructive when being taken by the wrong person. But also for the right person at the wrong moment, in the wrong setting. Firstly you must do an honest self-examination. If you think you’re not up to facing your worst fears of death, not to mention fiercely convincing and creepy demons, then don’t do it this way. There are other ways to ecstasy and visionary conditions, such as mediation, yoga and so on. Self-knowledge is the key to wisdom and knowing which paths are good for you and which are not, are crucial aspects of your life in the different phases of your life. Furthermore it is better not to undertake such an experience while you’re too young. The best thing is to have a brain with a developed ego-structure before you start looking for ways to shake it up. Although there is no hard evidence in the case of accidents, prevention is better than cure. So, tripping is for people who have done honest self-examination and think that they are up to facing their deepest fears of death and madness, and who are able to face very convincing and scary demons. But who are also ready to experience overwhelming kinds of beauty, peace and love. Psychedelics are mainly used by the more educated people, like students and intellectuals. 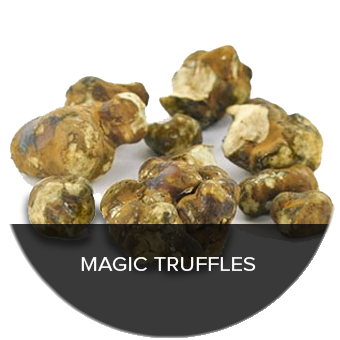 They take truffles to enhance their creativity and to gain new insights in the world around us. In this sense, Albert Einstein would have liked to have truffles, given his reaction: “Problems cannot be solved within the framework they were created in”. I wonder: Perhaps he did use psychedelics. What kind of tripper are you? Primarily we can distinguish 5 types of magic truffle users. Perhaps you will recognise yourself in one of them. The examiner: Examiners are mostly young people of a curious nature, who want to experiment with different experiences. For some of them drugs are a good way to start conversations, they are interesting to talk about and fascinate everyone. Young people are less likely to use drugs to ease the trauma and pain of unsatisfactory relations, or in case of physical and emotional abuse, as a consequence of an unhappy childhood. The socialiser: These people like to be in the company of peers in a pleasant and quiet surrounding, to share their thoughts and insights about philosophical subjects, such as equanimity, enlightenment and wisdom. The party-tripper: Magic mushrooms, magic truffles and psychedelics are used at parties. Mainly Psy-trance and Goa have roots that go all the way back to the province of Goa in India. The music is characterised by the use of a driving 4/4 or 3/3 beat and a trance-inducing melody by different effects, contributing to the mystic state of the listener. The home tripper: Home trippers usually are people with more experience, who do a medium trip to gain new insights and to listen to in-depth music and have an attention consuming, yet relaxing, evening at home. The Psychonaut: An archaic modern drug user who uses entheogen intends to get into changing mental states, to gain deeper insights and spiritual experiences. I consider myself a Psychonaut after years of use, while in the beginning I was an examiner. Clinical psychiatrist Jan Dirk Blom describes psychedelics as “the exploration of the psyche by means of techniques, such as lucid dreams, brain wave stimulation, sensory deprivation, and the use of hallucinogens or entheogens”, and a psychonaut as someone who “is searching to examine their spirit by means of deliberately induced changing states of consciousness, for spiritual, scientific or research purposes”. In short, for many people it is a deeply spiritual experience during which curing takes place, brilliant inspiration is found and new ideas are born. Moment of ingestion of magic truffles. Before, during or after a meal. Preferably before! 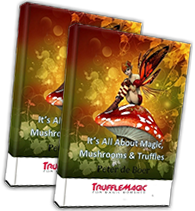 Click on this link and read everything about preparing for a trip on magic truffles or magic mushrooms.